Existing Print Subscribers: How to get your login information? © Copyright. 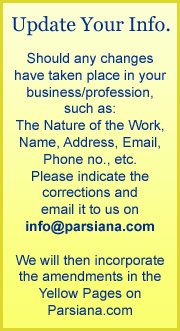 Parsiana Publications Pvt. Ltd. All Rights Reserved. 39B, Amrit Keshav Nayak Road, Fort, Bombay 400001. India.